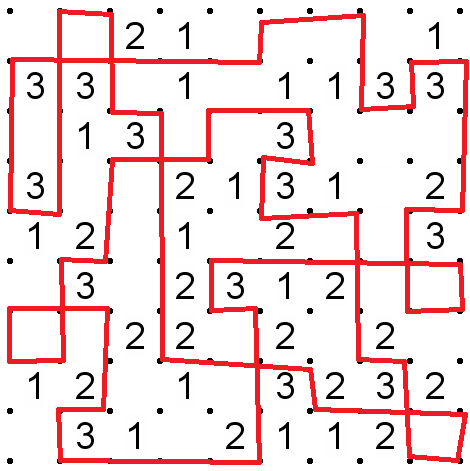 In a Slitherlink puzzle, you need to construct a single closed loop connecting points of a grid such that each number clue counts the number of adjacent loop segments. Normally, a Slitherlink puzzle does not permit "crossings", but I am going to relax that rule today. Whenever such a crossing occurs, interpret it so that the vertical line is going over the horizontal line. Specifically, consider the following examples. The first is not allowed because it won't form a closed loop. The second is a false interpretation of a 4-way crossing. The third is the valid interpretation. Remember: the interpretation of crossings is important because there can only be one loop. Different interpretations of these crossings may disagree about the number of loops. And a bonus: Is the loop a knot? A lot of the usual deduction rules of Slitherlink are still valid in this variant. 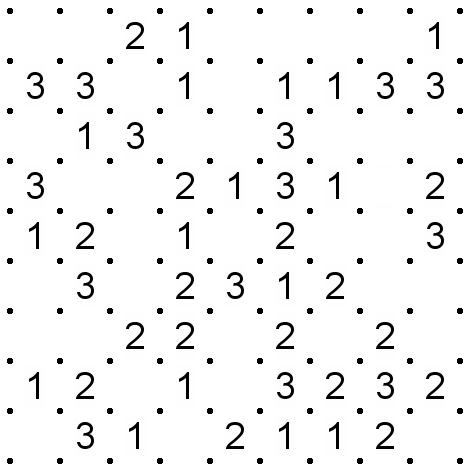 Each grid point normally has 0 or 2 links going away from it. In this variant 4 links are allowed as well, but 1 and 3 links are still forbidden. For example, in the top right corner the 1 may not have any links to the right or top of it and then the 3 must have a link to the right and top of it. This also means we still have that any 2 will carry the link diagonally. 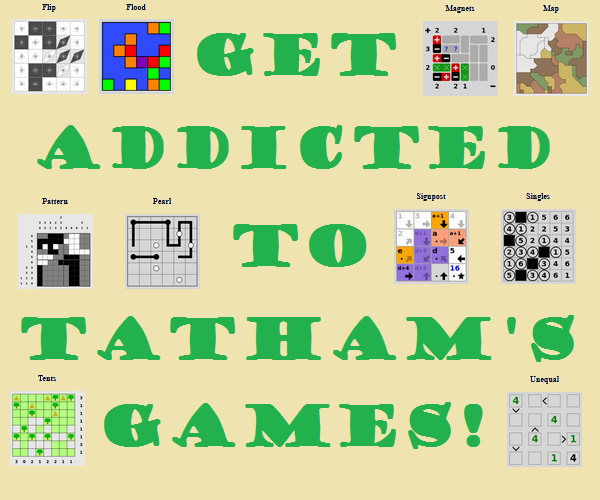 Following those rules will solve all but the bottom right of the grid. We can then consider that we are still only allowed a single loop, which will force a link on the bottom left and lead us to the solution. Yes, pruning the small trivial loops seems to lead to the 3-1-knot. Starting point: the upper right corner. There can't be a gap between the two 3's, because then there would have to be a closed 2x1 box surrounding the 3's. That gives us our first line. There can't be a gap between the top right 1 and the 3 below it, because then the 3 would be surrounded with a loose end on the right contradicting the 1. The loose end on the right now can't continue upwards (that would contradict the 1), so it must continue downwards past the 3. In fact, point 1) above applies to anywhere with two adjacent 3's, which enables us to draw a couple more lines. Now consider the pair of 3's above each other in the upper middle. 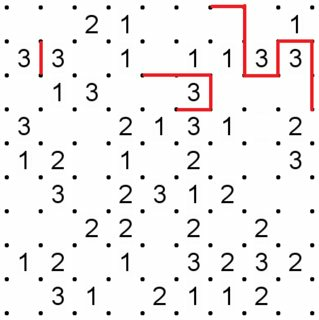 There can't be a gap to the right of the upper 3, because then the loose end above it couldn't be extended without contradicting one of the 1's. 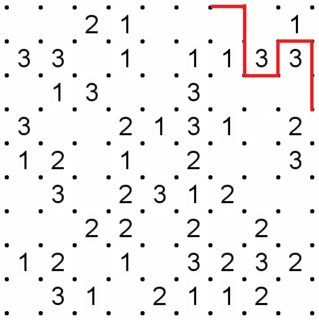 Now the loose end on the upper right of the upper 3 must be extended leftwards for a length of at least 2, to avoid contradicting the 1's. Not the answer you're looking for? Browse other questions tagged logical-deduction grid-deduction slitherlink or ask your own question.